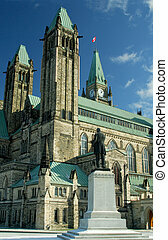 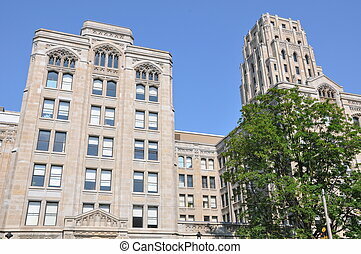 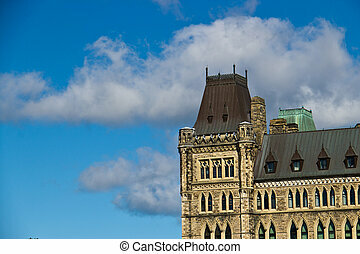 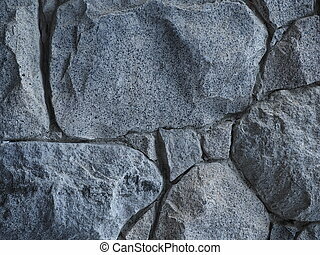 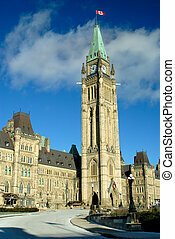 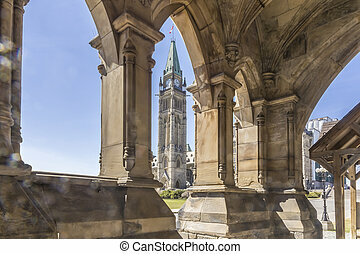 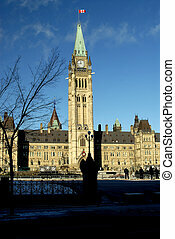 Canadian historic architecture. 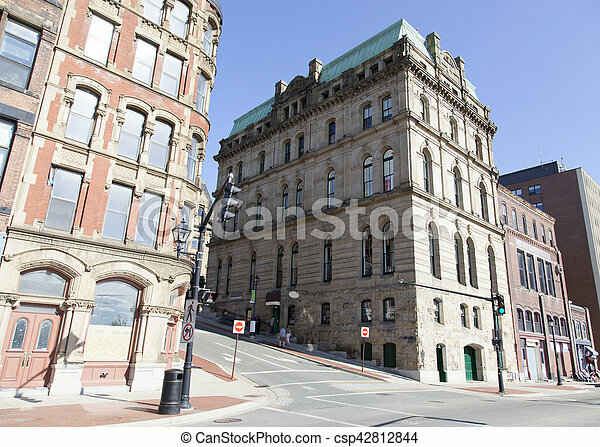 Water street historic buildings in saint john town (new brunswick). 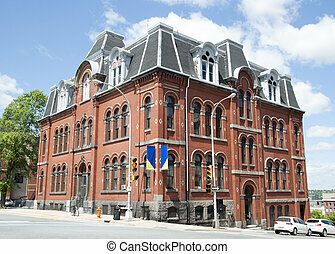 Water Street historic buildings in Saint John town (New Brunswick). 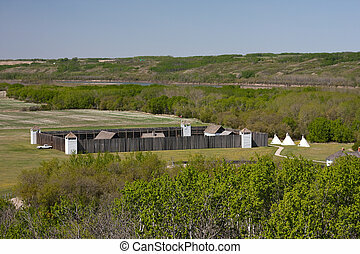 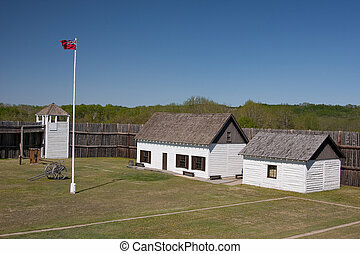 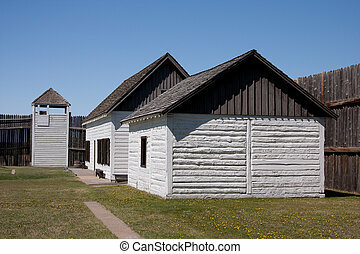 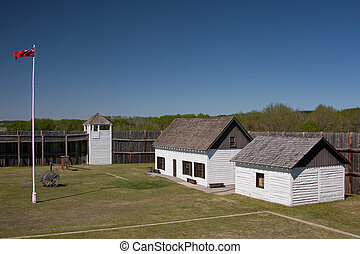 Historic Fort Carlton in central Saskatchewan of the Canadian Prairies. 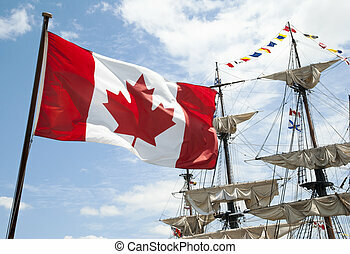 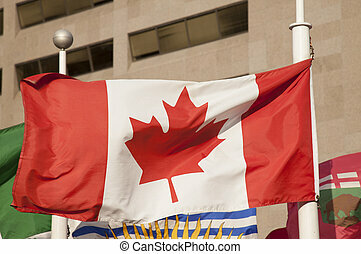 The close view of Canadian flag with historic ship masts in a background (Halifax, Canada). 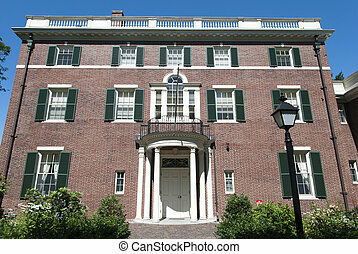 The example of Boston city historic architecture (Massachusetts). 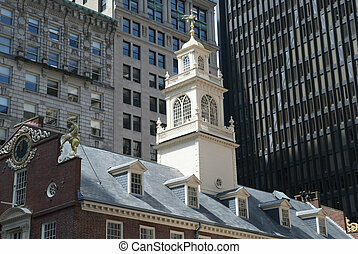 Boston old town street with historic buildings (Massachusetts). 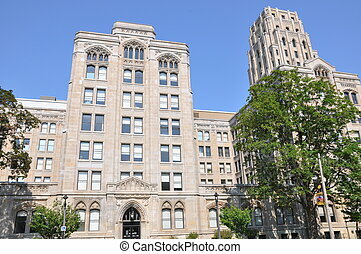 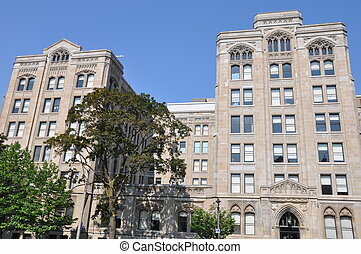 The historic building in Halifax downtown (Nova Scotia, Canada). 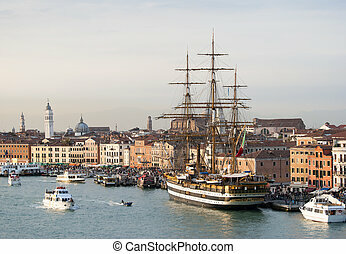 The historic ship docked in Venice old town (Italy). 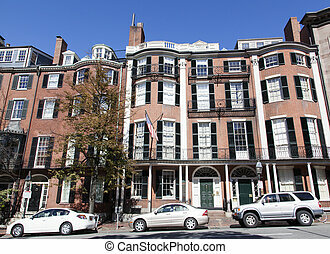 The historic building surrounded by modern skyscrapers in Boston downtown. 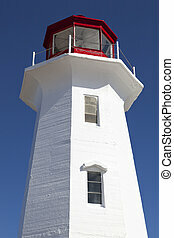 The historic lighthouse in Peggy's Cove village (Nova Scotia, Canada). 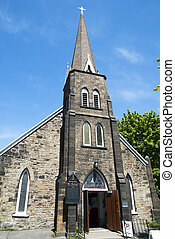 The historic anglican St.George church in Sydney town (Nova Scotia, Canada). 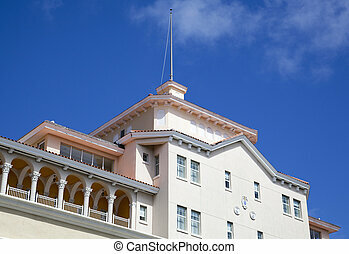 The historic colonial resort-hotel, one of the first in the city of Nassau (The Bahamas). 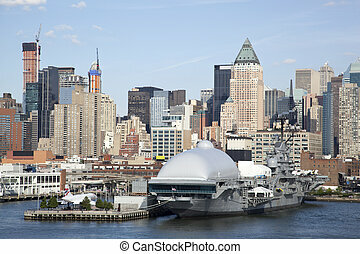 The view of historic military ship with Manhattan skyline in a background (New York City). 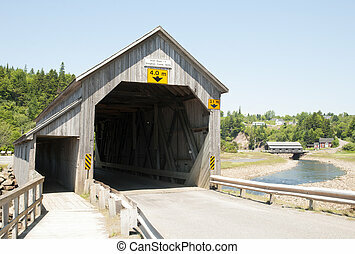 The historic wooden bridge with another the same bridge in a background built over Vaughan Creek in St.Martins (Canada). 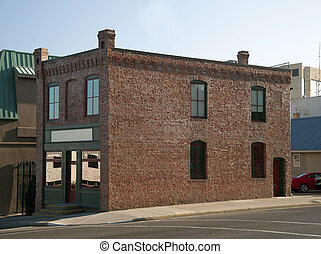 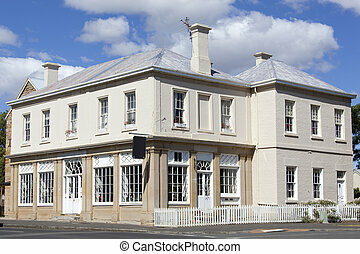 The traditional building in historic Richmond town (Tasmania). 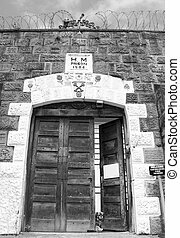 The entrance to historic prison of Napier town (New Zealand). 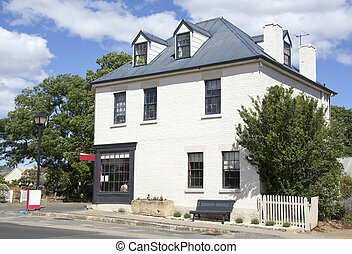 The traditional house on a main street of historic Richmond town (Tasmania). 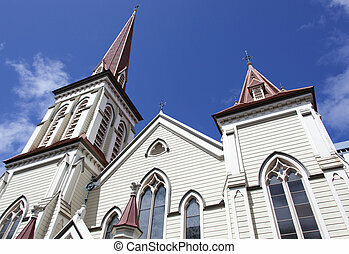 The spires of historic St John's Presbyterian Church in Wellington (New Zealand).